…then you probably already know how a sump pump helps you. When it works properly, your sump pump can spare you a lot of grief in the way of water and flood damage to your home and property. However, you can imagine the mess you might find yourself swimming without a functional sump pump. 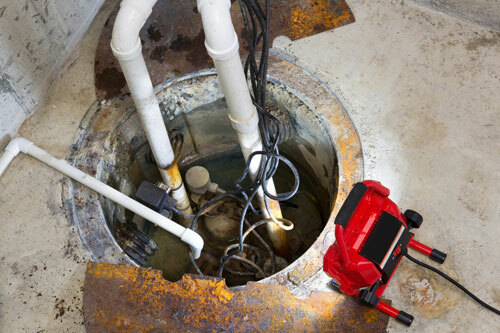 A+ Plumbing can service your sump pump in whatever capacity you require. If you need one installed, we’ll put one in fresh. If you have one already and it’s not working as well as you’d like, we can come take a look and repair or replace as necessary. Or, if you’re just trying to be responsible and are looking for routine (and recommended) maintenance, we’d be happy to perform it for you to help save you costs and headache later on. Whatever your sump pump needs, A+ Plumbing is here to deliver.